Imagine what it would be like to walk the streets of Florence during the Renaissance, to trade in the markets of Ghana or to live and work in the USSR under Stalin. 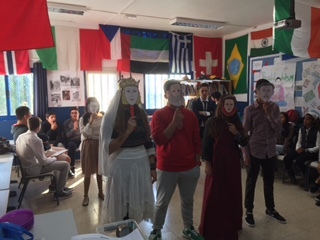 Every day, ASLP students in the Upper School bring historic moments alive and try to understand what people of the past thought and how they felt. Instead of memorizing facts, the students are engaged in cooperative group work solving problems or participating in memorable experiences which help students understand the concepts. How? With a method called TCI (www.teachtci.com). TCI is a publishing company that aims at making history enjoyable. It is directed to students of all abilities and learning styles. It “marries great content, meaningful technology and interactive classroom experience.” TCI makes not only the students experiences more fun but also the teachers. When the students enter the classroom they may have to prepare for a press conference with philosophers, participate in a tug of war on the Vietnam War, to work in a diamond mine in South Africa and see the inequalities of Apartheid or to work in a car factory in the USSR. 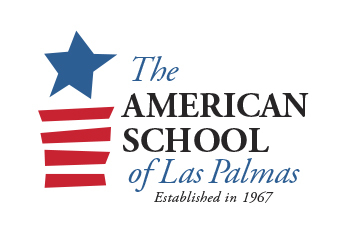 The system is successful at ASLP because it helps students better understand concepts and ideas by having them participate and experience these activities. For example, during a class on the French Revolution, the majority of the students will be asked to work for 20 minutes. Only a few privileged students will have teachers’ permission to relax. It then gets frustrating when the few who did nothing are rewarded the most. The students realize that France’s political system in 1789 was not fair by comparing their experience to the situation of France in the past. By the time the students do the test, they will have lived through similar experiences as those of the past. It therefore helps them understand better. However, the TCI method does more. It helps students of all abilities learn from each other as they will need creativity, group cooperation and excellence to be successful. At ASLP, we are currently using the TCI method in grades 8-12 in Social Studies (history and geography). In the next months we will explore the possibility of using the TCI Social Studies method in other grades. 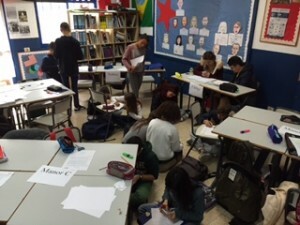 ASLP students role playing scenes from the French Revolution. 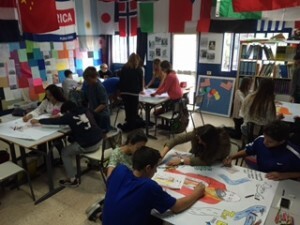 ASLP students working in groups on Chinese philosophies. 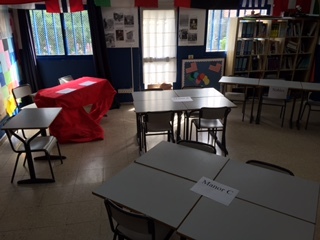 A room prepared for a TCI Social Studies activity. Career Night: A Success and with an ECO touch!